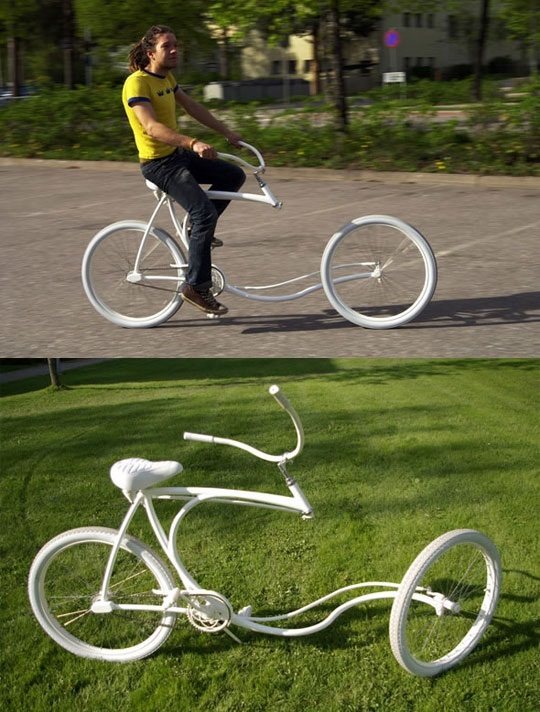 Posted on November 18, 2012, in OMGHILARIOUS!, Random and tagged bicycles, dumb ideas. Bookmark the permalink. 4 Comments. I don’t know, I kinda like it. Reminds me of something my dad would’ve built for me when I was a kid. *giggles* at your grumpiness. 😉 You damn kids get offa my lawn!